Mae's Food Blog: More Spice! Star anise: a somewhat obscure spice. 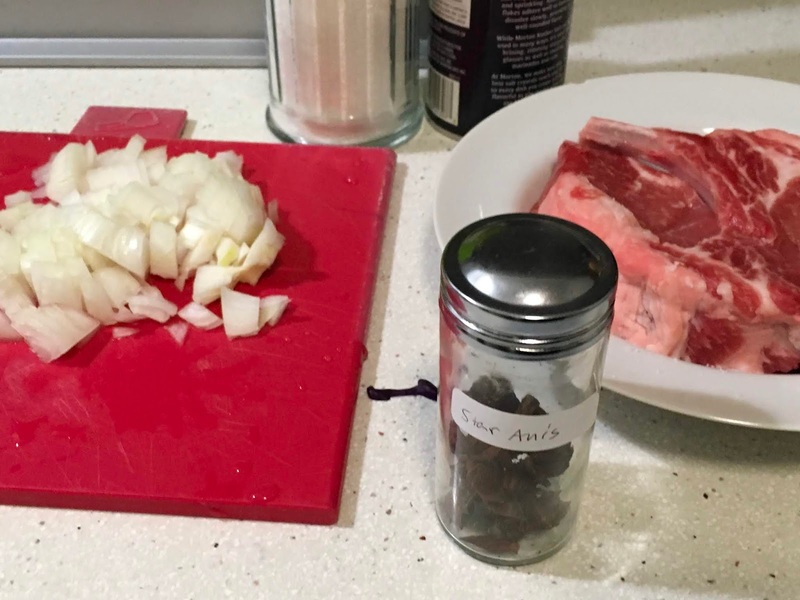 A conversation about spices, especially about star anise, made me think about using some different spices than usual. I decided the star anise would be a good flavor for my planned main course for dinner tonight: pork chops browned with onion and braised with apple sauce. Experimentally, we dry-brined the chops for several hours with a light coat of salt and sugar before cooking. This did help the chops to become a very nice brown color with deeper flavor. as well as sherry vinegar and a little honey. Maybe in the New Year I will be writing up one meal a week to document what I cook. Like this. How long do you let the dry brine on? It sounds and looks really delish! We put the light sprinkle of salt & sugar on both sides of the chops in the morning, cooked them for dinner. The instructions were clear that you do not cover the meat: we left it in the refrigerator in an open dish. I think this is also recommended when you grill the meat on the BBQ, but we don't use the weber grill in the dead of winter! Thank for posting the comment on how long to brine. I have never used star anise, I want to try new flavors this year. Sounds like a good meal to me. I will have to buy star anise, I've never used it. I like your thoughts of using different spices to change up some of our favorite dishes. I use star anise a lot in cooking, we love the flavour. I love pork chops. I think that brining them is the only way to go. I love the idea of using anise with them - would never have considered it. Hi Jeff, Just want to make sure to emphasize that _anise_ and _star anise_ are different spices, and have different intensities. Star anise is much less robust in flavor, and not so much like licorice. Thanks for commenting... thanks as well to everyone. I am going to try that brine! The red cabbage and apple salad looks wonderful. I may have to give it a try. I don't use red cabbage enough. It's a delightful vegetable. 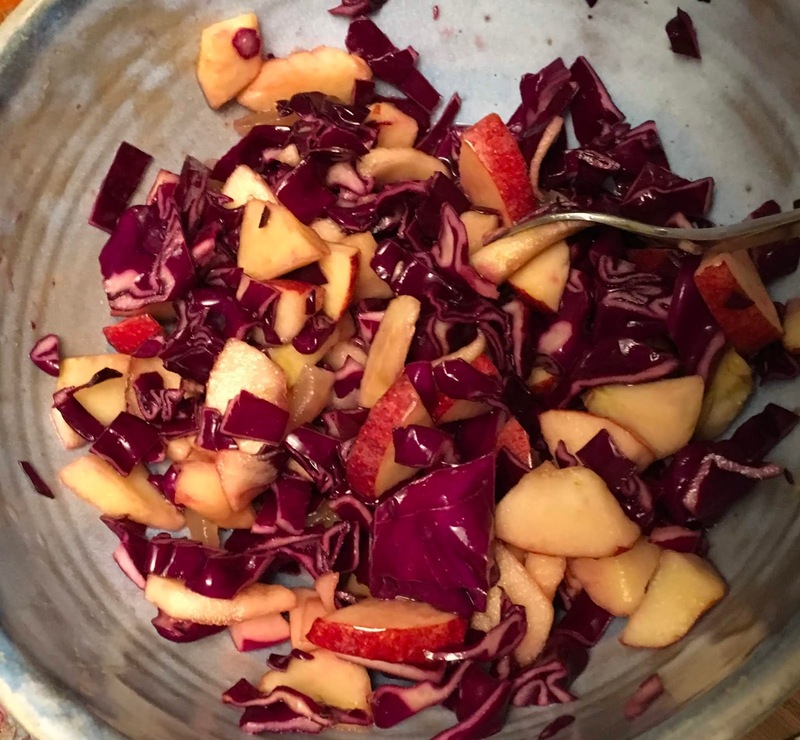 The Red Cabbage and Apple Salad looks wonderful. I may have to give it a a try. I don't use Red Cabbage enough in my cooking. It's a delightful vegetable. Wonderful combination of flavors in both the chops and salad Mae. I'm going to try it myself. I have only used star anise in hot drinks. I will have to try it in main dishes. Thanks for the idea. I think I first heard of star anise on GBBO! 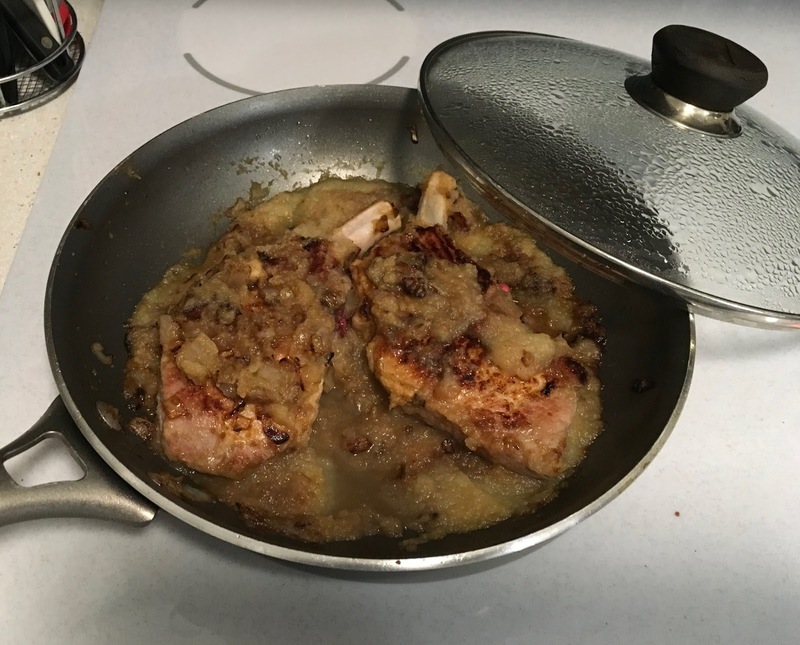 The pork chops look so flavourful and juicy. Perfect to go with that cabbage salad..a fantastic meal!